It’s a simple question, but the answer can be a little complicated. If you don’t maintain an active presence on your social media profiles, customers are likely to choose another business when searching for local products and services. But, posting too often will leave your followers feeling overwhelmed and give you a negative reputation. Do this for too long and they’ll unfollow you. Neither scenario is good for your business. So, how often should you post? Plenty of companies have conducted studies to figure out what works best on various social platforms. We analyzed the data in those studies to give you an idea of how often to post to Facebook, Twitter, Instagram, LinkedIn and Google+. So, how many social posts each day will help skyrocket your business? Ask a marketer how often you should be posting on Facebook and they’ll probably tell you two posts per day is the sweet spot. However, the data tells us another story. Hubspot analyzed Facebook data from their 13,500+ customers to see if posting more frequently would help businesses reach more people. They found that businesses with more than 10,000 followers were the only ones that saw an increased number of clicks when posting more than once per day. Businesses with less than 10,000 followers received 50 percent fewer clicks per post when they published twice per day. How does Facebook's new algorithm affect your Facebook strategy? Facebook prioritizes content from friends and family in users’ news feeds. That makes it harder for brands to get their content in front of their audience, but cranking up your posting volume won’t help you. Sotrender looked at more than 3,000 profiles to see what post reach looked like after the algorithm change went into effect, and here’s what they found. For each additional post a brand makes throughout the day, organic reach drops drastically. My advice: Stick to one post per day, or five posts per week. You can post as often as you want on Twitter. Here's why. 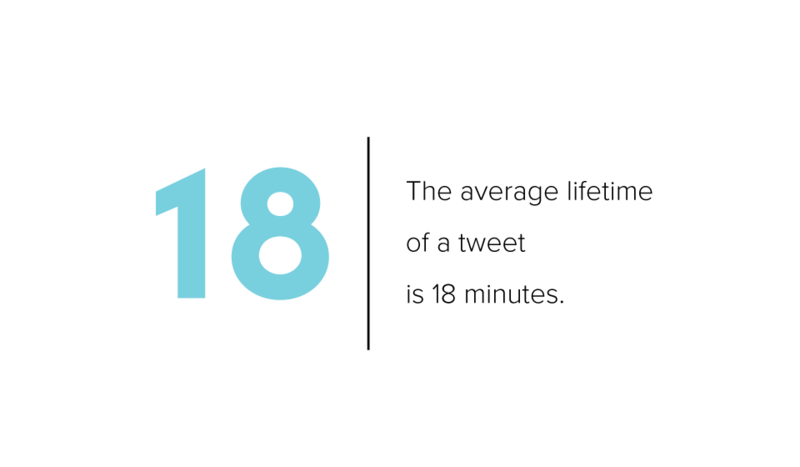 The average lifetime of a tweet is 18 minutes. After 18 minutes, your followers’ feeds have received enough new posts that yours gets pushed to the bottom. So how do you fight the high turnover rate and get your name out there? Tweet up a storm. Buffer, a social media scheduling app, shared its social media publishing schedule and revealed they post to Twitter 14 times per day between the hours of midnight and 10 p.m.! Most retweets happen within an hour after they publish, so a higher daily frequency like this can pay off. Still, not everyone has the time to churn out 10 or more tweets every day. That's why your Twitter posting strategy should depend on your goals. If you want to see higher engagement on each individual tweet, research says to send between 1 and 5 tweets per day. A study by Social Bakers found that engagement starts to drop off after the third tweet, and Track Social determined that response per tweet peaks at around five tweets per day before taking a dive. If you’re looking to get more responses in general, though, feel free to tweet like crazy. My advice: Go for the happy medium with 3-5 tweets each day. Because it's so dependent on visuals, Instagram can feel a little intimidating for small businesses. 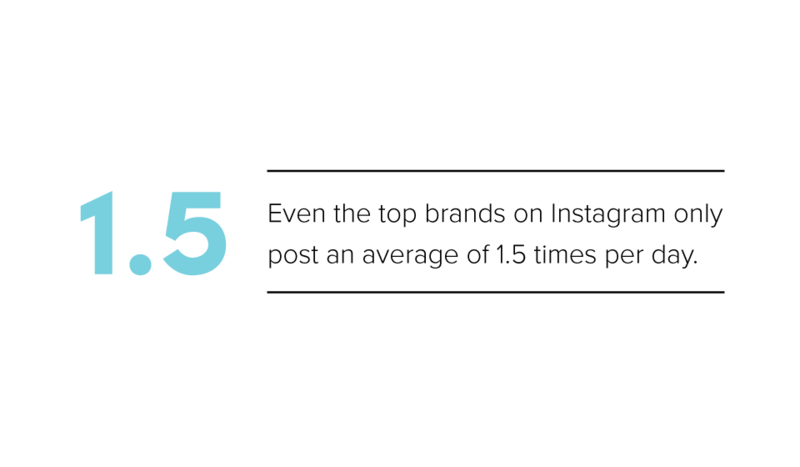 In reality, though, even the top brands on Instagram only post an average of 1.5 times per day. This is another social channel where your audience size factors into your ideal posting frequency. Businesses with smaller audiences are better off sharing 1-2 photos a day, while those with audiences of 1,000 or more can get away with three, four or more without seeing a drop in engagement. Digital marketing pro Neil Patel says that frequency might not be as important for your Instagram marketing strategy as consistency. If your audience has come to expect three posts a day and all of of a sudden they're only getting one, you're going to see a drop in engagement. You'll probably lose followers, too. My advice: Posting once per day is a great place to start. Though there isn't much data on how often to post to LinkedIn, the best guide on LinkedIn posting comes from the company itself. LinkedIn recommends sharing 20 posts per month, which averages to about once per business day. This makes sense because users typically visit LinkedIn during the standard work week. I've experimented with sharing one post each day (including weekends), sharing two posts per day and the LinkedIn-recommended one post per business day. In all three scenarios, I saw good engagement, although I did notice a significant drop on the posts that ran on Saturday and Sunday. The most important thing to remember with LinkedIn isn't how often you're posting, but the type of content you're sharing. LinkedIn is a professional networking site. That means that the content you share on LinkedIn should be restricted to industry news, business announcements, job opportunities etc. The goal here is to educate your audience on the latest happenings in the industry and help make their work lives more productive. My advice: Share at least one and no more than two posts each day. Make sure they're strictly business-related. 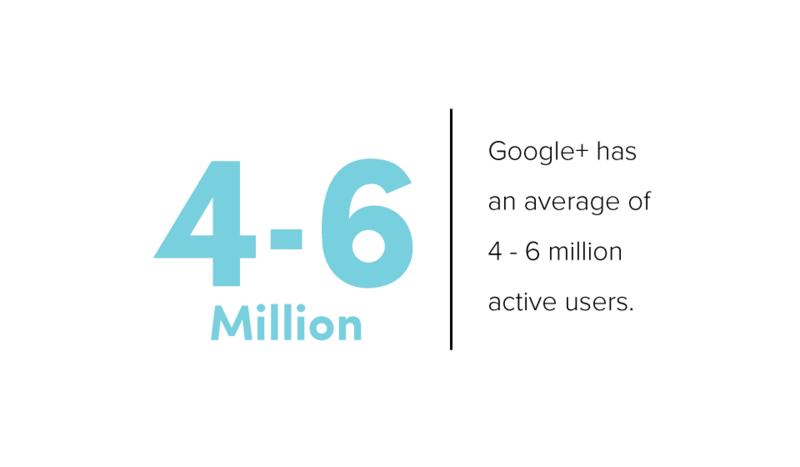 There's also a lack of data on Google+ usage, but experts think that Google+ has an average of 4-6 million users engaging, interacting and posting regularly. While you might not get as much value in terms of social engagement (engagement rates are typically low) your Google+ page can help your SEO value. How often should you post? Advice varies. Some people say you should post to Google+ twice per day. Others say three times per day, and one source even suggested up to five times per day. My advice: Experiment a little. Try somewhere between one and eight posts per week. Remember, this is just a rough estimate based on industry research and advice. You should do what's best for your business, and that might mean making up your own rules! I think my best advice to you would be this — predict, measure, repeat. Start experimenting with how many posts you're sharing per day and keep track in a spreadsheet. After a few weeks, take a look at your analytics. Use the data to determine whether you need to pump up or scale back on your posting frequency. The only rule in social media is that you should only post content that is engaging, entertaining and useful to your followers. Quality will always win over quantity in social media marketing. I am so glad I found this blog, this is the first blog where I can actually comprehend about business and social media relationship. It has a been a real challenge for me since I started my business, but I now have the confidence to post and not be worried about what I post when. I will refer back to this blog when I need help, which I am sure I will.